With more than 32 years experience in the travel and event planning industries, Fred and Mary Arthur are unquestioned experts at hosting and organizing special events. During the past year, Fred and Mary have beautifully orchestrated a variety of events throughout North West Texas. 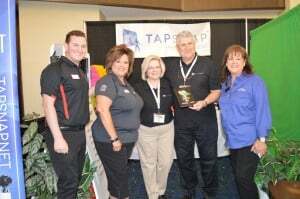 Most recently, the duo took part in the 2014 Business Expo hosted by the Lubbock Chamber of Commerce, where they were awarded a prestigious award for their TapSnap franchise. The Arthurs were chosen as the “Best of the Show and Most Fun Booth” out of more than 200 of Lubbock’s top businesses. During the expo, chamber executives presented the award in front of a live television crew, who interviewed Fred and Mary about their venture. As a result of the expo, Fred and Mary are currently processing several bids from leads and the response from the community continues to inspire the couple. Fred and Mary operate their TapSnap in Lubbock, Abilene, Wichita Falls, Amarillo and many of the Texas communities in between. Their specialty is working with corporate clients, but particularly enjoy hosting family events such as fall festivals, weddings, quinceañeras, and Christmas parties.